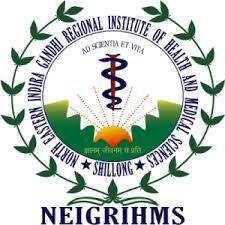 Northeastern Indira Gandhi Regional Institute of Health & Medical Sciences (NEIGRIHMS) Recruitment Notification 2018.NEIGRIHMS inviting applications for the positions of Junior Resident Doctors.Interested and Eligible candidates can apply for the positions. Applicants those who have done satisfactory completion of internship and registered in central/ state medical council can apply. Through interview organized by department contenders will be hired. On 06th August 2018 along with all required documents candidates may attend for NEIGRIHMS recruitment at below given venue. Conference hall, NEIGRIHMS Guest House, Permanent Campus, Mawdiangdiang, Shillong-793018.